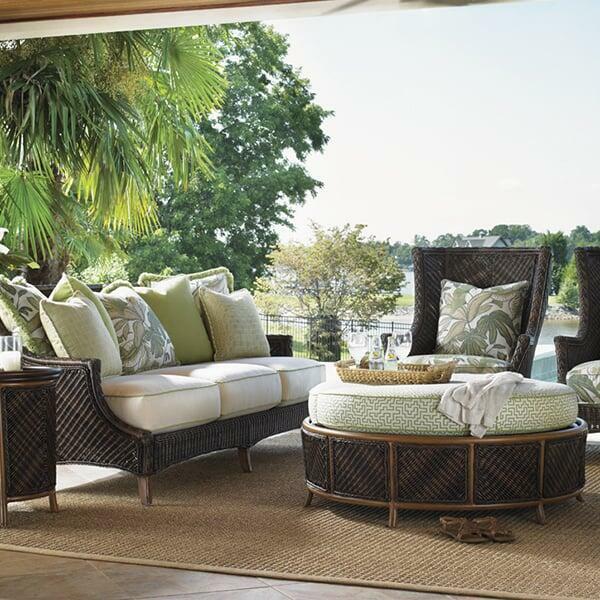 The Island Estate Lanai Deep Seating set offers an attractive combination of comfy, plush cushioned seats for comfort and versatile storage and surfaces for functionality. 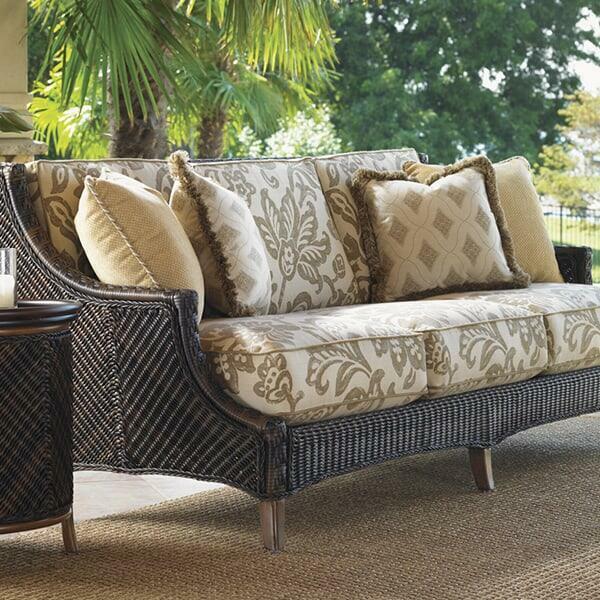 The featured set includes a three-person sofa with ample cushions and space for stylizing, as you may choose the cushion covers from a large selection. 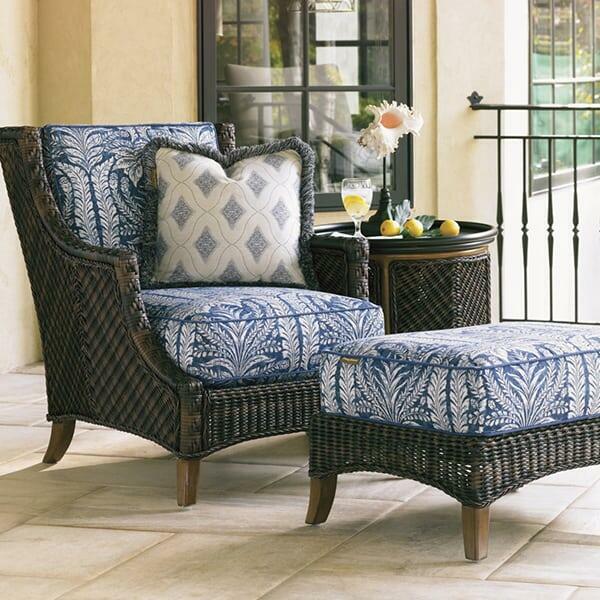 The two wing chairs feature the comfortable high, rounded backing that is extremely unique in outdoor settings. The storage ottoman acts as a plush space to rest your legs, and the cushion lifts to show a storage space. The storage space acts as a perfect refuge for throw pillows and tabletop items when they are not in use. The end table provides space for drinks, appetizers and more. Each piece is made with an aluminum frame core that is wrapped in an all-weather wicker material. 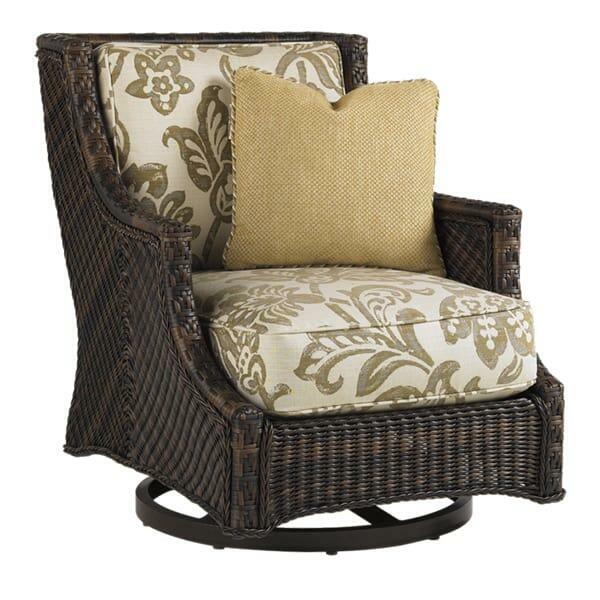 The wicker is twisted and woven, and features a warm umber finish. Choose the cushion covers that tie the set together in your space!